SnapJet is a new smartphone accessory printing companion that has just hit Kickstarter, it is seeking $155,000 in funding. If the goal is achieved backers would be rewarded with an open-source instant film printer that can print directly from their smartphone. The project intends to go from concept to production by this time next year. With the growing interest in the resurrecting instant film printing started by Polariod, SnapJet is a pocket-sized printer which prints photos. It required no wires, Wi-Fi, Bluetooth, NFC, or even a dedicated app. 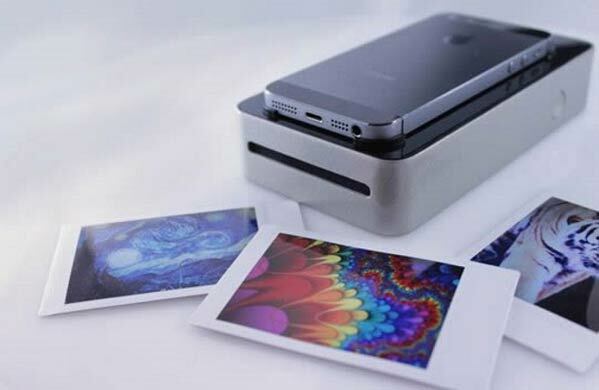 It does this by simply scanning the photo displayed on your smartphone screen and printing them out on Polaroid 300 or Fujifilm Instax paper. The device uses the light emitted by your smartphone’s screen to expose the film lying inside, and employs micro-structured optical polymers to transfer that image onto the film. SnapJet also uses a thin sliding layer to allow the film sheet to be exposed in stages, meaning that the slower the sheet slides to expose the screen, the brighter the resulting photo will be. Its creators claim a resolution of 1200dpi for the scanner whilst emphasising that device is open source, and includes an OLED display, USB and BLE compatibility. “We’ll release all of our designs and schematics to the community. You’ll get our printed circuit board files, our CAD models, and anything you would need to build a fully working SnapJet. We want to empower our users to hack, re-program, and re-purpose SnapJet, even commercially,” the team wrote. Of course, since the printer is able to function just by scanning a smartphone’s screen, this means that the device is compatible with every smartphone or small screened device and the quality of the resulting photo is directly proportional to the quality of the screen. SnapJet is currently ‘available’ for a $129 funding pledge and shipments are expected to start by December 2015.